Starring: Frances McDormand, John Getz, Dan Hedaya, M. Emmet Walsh, Samm Art-Williams, Deborah Neumann. (The following post is not so much a review, as it is a commentary on the creative work(s) of the Coen brothers. It’s my contribution to the Blogathon called “Debuts” created by Mark Fletcher of Three Rows Back and Chris Thomson of Terry Malloy’s Pigeon Coup, whereby a number of bloggers have chosen a particular director to highlight and the significance that their first feature has had. You can access the rest of the Blogathon posts here). Having cut his teeth as Assistant Editor on director Sam Raimi’s cult classic, “The Evil Dead” in 1981, Joel Coen went on to become a fully fledged director himself with his debut “Blood Simple” in 1984. On the advice of Raimi, Joel and his brother Ethan (whom, it has always been said, actually shared directorial duties) went door-to-door showing potential investors a two minute ‘trailer’ of the film they planned to make, which resulted in them raising $750,000 and just enough to begin production of their movie. It was at this point that two of cinema’s most consistent and original talents had arrived. In West Texas, saloon owner Julian Marty (Dan Hedaya) suspects that his wife Abby (Frances McDormand) is cheating on him with Ray (John Getz), one of his bartenders. 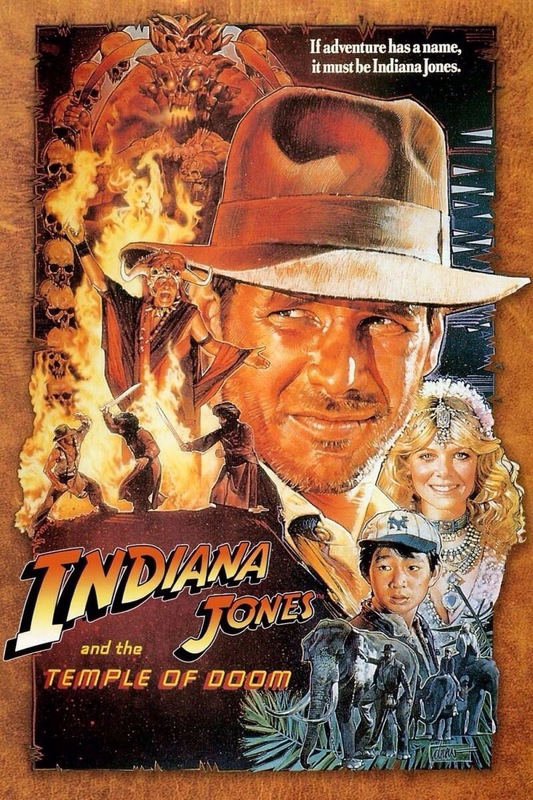 Marty then hires Loren Visser (M. Emmet Walsh), a private detective, to investigate. Once Marty gains proof of the adulterous affair, he pays Visser to kill them. 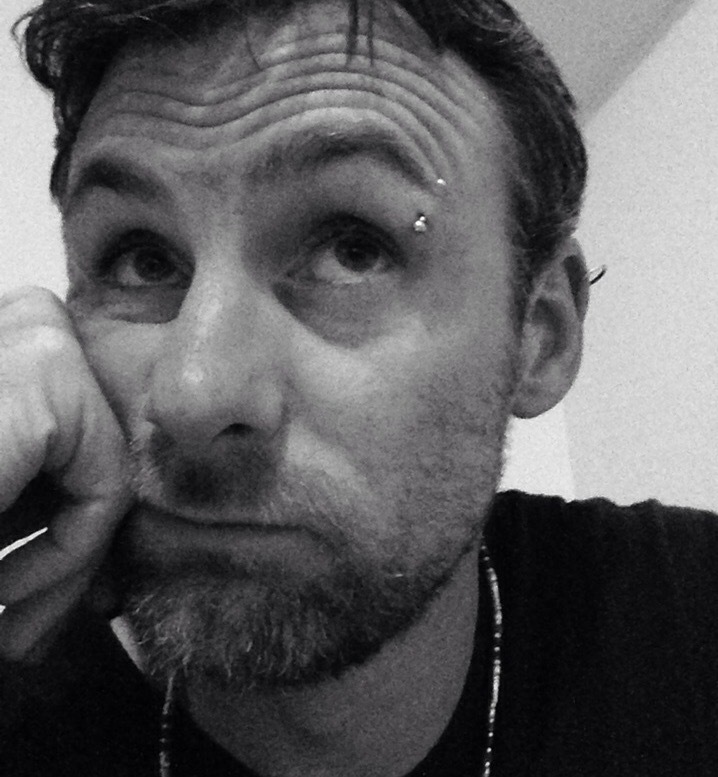 However, Visser is a very unscrupulous type and has plans of his own. When you comb through the filmography of the Coen’s, three renowned and highly respected crime writers will inevitably surface. They are: James M. Cain, Raymond Chandler and Dashiell Hammett. 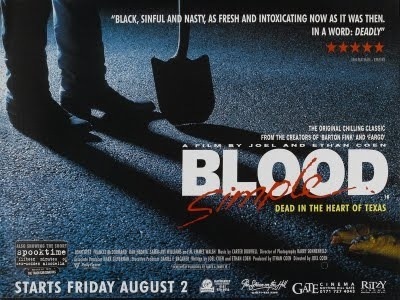 However, it’s their debut “Blood Simple” that fully harks back to the hard boiled noir’s of the 1940’s, namely, “The Postman Always Rings Twice” and “Double Indemnity” – both of which are written by Cain and the latter, in fact, co-scripted by Chandler when it made it the screen. Hammett was also a contemporary of these writers and wrote the novel “Red Harvest“, which actually coined the term “blood simple”. It is described as “the addled, fearful mindset people are in after a prolonged immersion in violent situations”. This very description sums the movie up perfectly. It’s a homage to these great writer’s and the genre they excelled in. Also, like their stories, once the character’s and their motivations are established, there is no going back. Although this was their debut, labyrinthine plots and double-crosses would become a staple of the Coens’ work that followed. Give or take the odd zany comedy, their filmography largely consists of these writers; “Miller’s Crossing” was heavily influenced by Hammett’s “The Glass Key” while “The Big Lebowski” loosely took it’s structure from the work of Raymond Chandler and James M. Cain would resurface in the “The Man Who Wasn’t There“. 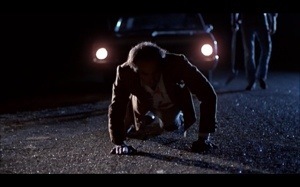 Even the Oscar winning “Fargo and “No Country For Old Men” could be seen as riffs on “Blood Simple“, itself. The thing that’s most apparent about this debut from the Coen’s, though, is that their stylistic approach is plain to see. It cast the mould from which we have witnessed their serpentine abilities in storytelling and hugely inventive directorial flourishes. Much has been said about the cinematography on the Coens’ output. This has largely been due to the work of their regular collaborator Roger Deakins. However, it was Barry Sonnenfeld who worked on the first three Coen’s movies and you’d be hard pushed to notice much of a difference between them. This simply comes down to them translating exactly the vision that the brothers had. That’s not to take away from the work of Deakins or, in this case, Sonnenfeld as their cinematography has always been sublime but ultimately it comes down to the Coens’ inventively keen eye for a shot. They are known for being sticklers for detail, knowing exactly what they want and exactly how it should look and working from a shoestring budget doesn’t prevent them from realising their Hitchcockian melee of passion, bloodshed and suspense. If anything, their limited budget shows how artistic and creative they really are and they’re not without (or what would become) their trademark moments of irony. The Coen brothers have went on to become two of the most respected filmmakers in the business, and rightfully so. With many classics – cult and mainstream – under their belts already, there’s really no end to what they’re capable of. That being said, it’s always a pleasure to return to their roots and see where it all began.